Immortelle is a symbol of eternity. The name Immortelle (helichrysum) comes from the Greek word “helisso„, meaning, “to turn around,” and the word “chrysos”, which means “gold.” A plant dedicated to the sun, with exceptional skin care properties. 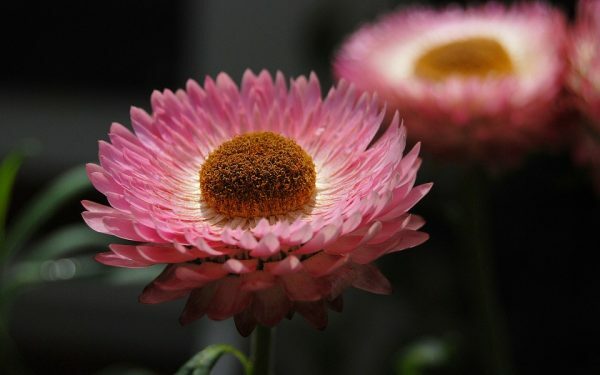 The helichrysum oil is one of the few essential oils that contain “diketones”, which help to reduce scar tissue and stimulate the growth of new skin tissue, as they boost the tissue regeneration process. The immortelle essential oil helps fade out scars and reduces fine lines and wrinkles. 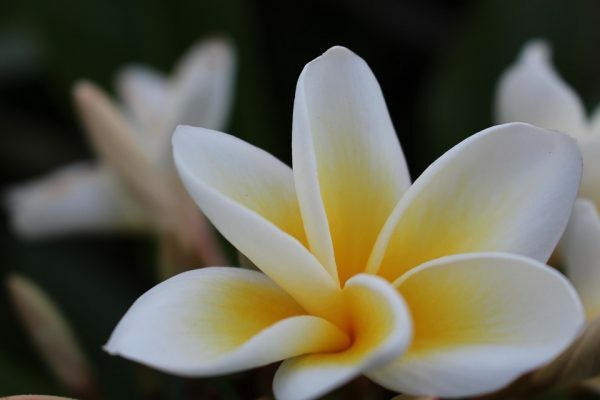 Frangipani, known as the “Tree of Life” and highly regarded for centuries for its amazing healing and rejuvenating powers, in the Buddhist religion it symbolizes immortality, because the tree will produce new blooms even after it is uprooted. Frangipani essential oil has age defying effects and superb rejuvenating qualities. Aside from its magnificent scent it helps in revitalizing the skin and gives optimum moisture. It is easily absorbed by the skin thereby making the skin healthier, smoother and softer. It also provides protection against the harmful UV-rays of the sun. “Time” – the big challenge in the world of cosmetics and the way we trick it. Designed to restore the youthful appearance of the skin, improve its density and elasticity. A perfect combination of peptides, organic extracts and diamond powder for a completely renovated and flawless skin. The line is developed with Snake peptide, synthesized with small molecular weight that smoothens the expression lines. It has a natural inspired mechanism, mimics the activity of Waglerin-1, a natural occurring peptide found in temple viper venom (Tropidolaemus Wagleri). Waglerin-1 has a strong ability to relax muscle contraction. Its effect focuses on an immediate and lasting relaxation of mimicry wrinkles by blocking the neuronal transmission on the Nicotinic Acetyhlcholin receptor. Depth of wrinkle is visibly reduced; overall visibly less wrinkles and a smoother, and more even skin surface. The action is enhanced by the included Palmitoyl tripeptide-5, a highly active and deeply penetrative into the skin tripeptide, with a unique sequence that imitates the human body’s own mechanism to produce collagen and simultaneously protects collagen from degradation. It has the ability to stimulate the healthy cell function by improving the communication between cells, monitors their activity and prevents toxins that penetrate them from doing harm. The ingredient does this by mimicking the body’s natural communication mechanisms that tell cells what to do.